Angel Fund « Mystic Valley Lodge A.F. & A.M. Mystic Valley Lodge’s established community service outreach is the Mystic Valley Lodge Angel Fund, under the guidance of The Masonic Angel Fund™. The Masonic Angel Fund™ is the fastest-growing Masonic charity anywhere. Founded in 1998 by the members of Universal Lodge A.F. & A.M. in Orleans, Massachusetts, the “MAF” has spread to 154 Lodges in 12 states since it first offered sponsorship of affiliate Masonic Angel Funds in the summer of 2000. The Masonic Angel Fund™ is changing children’s’ lives – one community at a time, one child at a time. One of the fundamental principles of the Masonic Angel Fund™ program is that 100% of the money raised by a local Lodge’s Masonic Angel Fund™ stays in that community and goes to directly aiding children in need. All overhead of the local MAF is covered by the sponsoring Lodge from its operating budget. A second key aspect of the Angel Fund is that each request is responded to by the lodge trustees within 24 hours, whenever possible. There are few charity programs anywhere that can make such claims. The Fund provides modest assistance to children in need who may not fit the criteria for the usual social-service programs. Such assistance might be to provide a pair of glasses, a coat, shoes, field trip fees, camperships or minor health services. MAF benevolences can cover almost any need that will enhance a child’s learning experience – some Masonic Angel Funds even provide scholarships for music and fine arts instruction. Confidential requests for assistance are made directly by local school principals, counselors, school nurses and by community youth services professionals. If you know of a child who could use help from Mystic Valley Lodge’s Angel Fund, please contact his or her school nurse or guidance counselor, or your city or town’s youth services department. 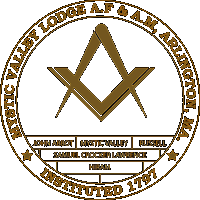 If you want to make a contribution to support the work of the Angel Fund, you may send a check to “Mystic Valley Lodge Masonic Angel Fund”, 19 Academy Street, Arlington, MA 02476. More information about the Masonic Angel Foundation can be found here: www.masonicangelfund.org.